I love to share delicious recipes that are also quick and easy. I mean, we’re all leading busy lives, right? And finding time to spend in the kitchen can be very challenging. 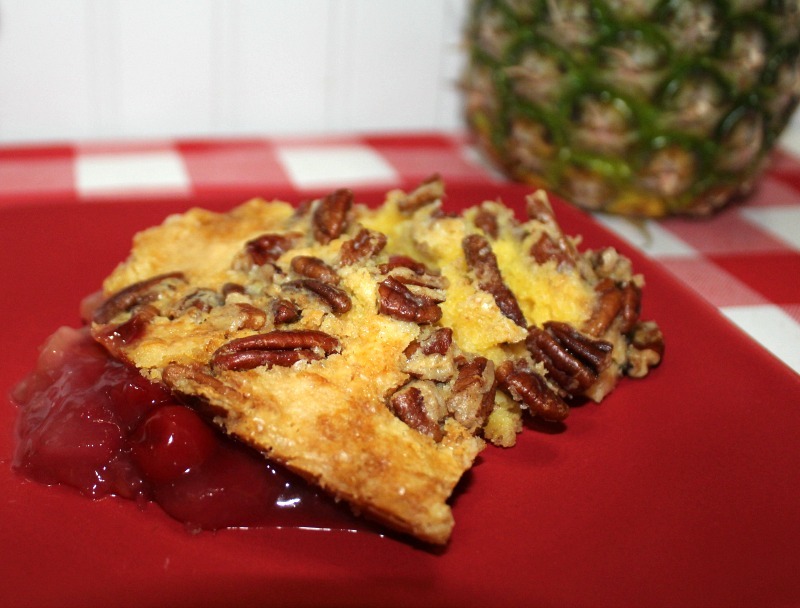 This recipe for Dump Cake fits those requirements perfectly: quick, easy, and delicious! 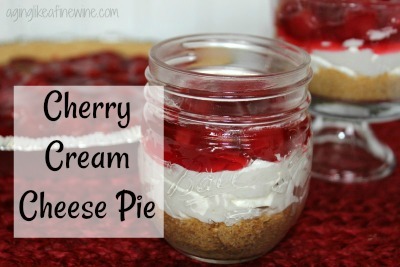 Best Cherry Cream Cheese Pie Recipe! When it comes to pie fillings or the topping on my cheesecake, cherry is my favorite followed very closely by blueberry. This recipe for cherry cream cheese pie is easier to make than either of those and just as delicious. Just the way I like my recipes! It looks pretty and is a creamy, flavorful treat in the pie crust, but I think it adds such a special touch to place it in a small fancy canning jar or a pretty dessert dish! Read more…. Quick Breakfast Bread for Busy Mornings! 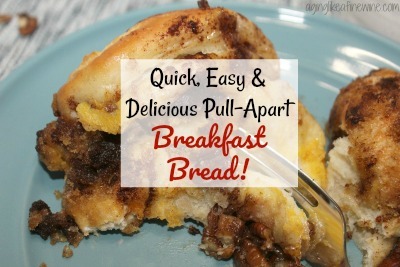 This quick breakfast bread is so easy, and trust me, I love easy! The recipe was given to me by a woman I attended church with and I’ve enjoyed it ever since. Most of the ingredients are probably in your pantry and refrigerator right now. It’s a perfect option for those busy mornings you don’t have time to cook. Add some healthy fruit options and even a breakfast casserole and you’ve got a full breakfast for company! 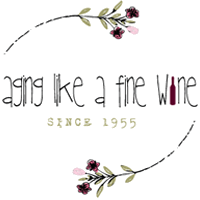 Some of the links on this blog are affiliate links and if you click on them and decide to make a purchase I will earn a small commission and it’s very much appreciated! 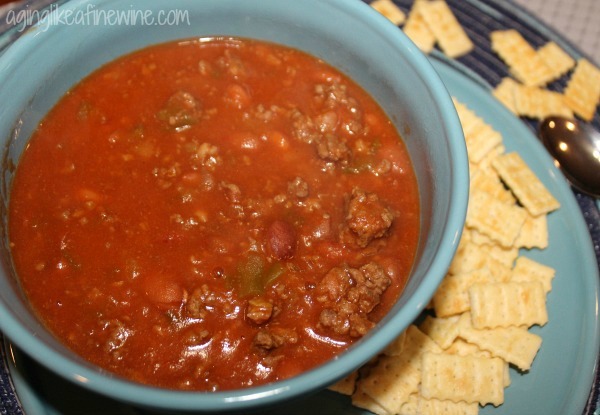 This is the chili recipe that I’ve been using for many years. It’s quick and easy as the name states and I do love quick and easy when it comes to recipes! There isn’t any chopping required unless you choose to chop fresh onion rather than using frozen. The prep is basically the time it takes to cook the hamburger and pour in the other ingredients. 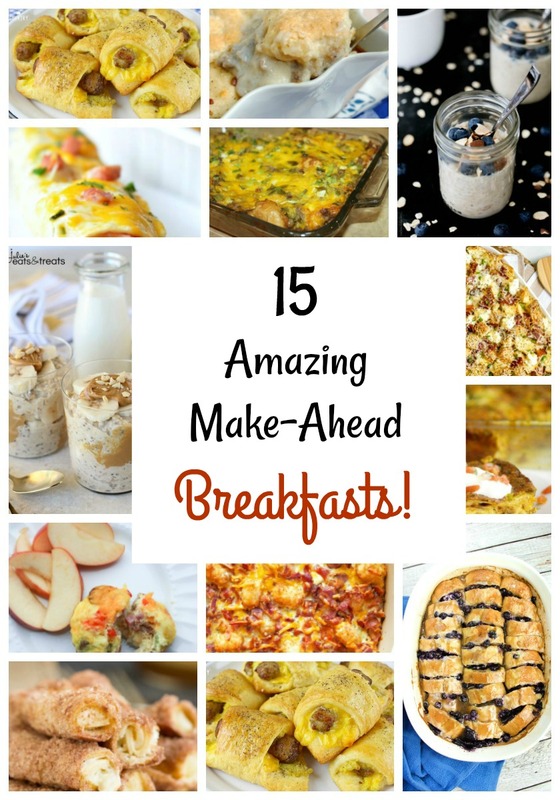 15 Amazing Make-Ahead Breakfast Ideas! Christmas morning can get pretty crazy for most of us. Whether it’s entertaining visitors at your house, rushing off to spend Christmas day with family or simply the hustle and bustle of your own family opening presents. Something that makes the morning run much smoother is to have the breakfast preparation already completed. I’ve put together 15 make-ahead breakfast recipes that can be made the night before and will be ready to go on Christmas morning. With this amazing group, we should be ready for breakfast this Christmas! To see the recipe, just click on the link below each picture and Read more…. Make this delicious and nutritious Blueberry Cake for your family! 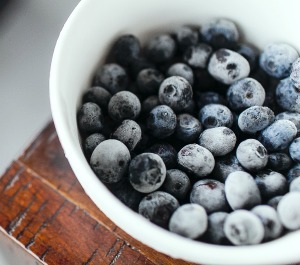 Blueberries are not only flavorful and scrumptious; they’re packed with nutritious value, which makes them a fruit that I try to incorporate into my diet whenever I can. There have been lots of studies done on the health benefits of blueberries and some of the things they’ve discovered are pretty exciting. So if you’re trying to make healthy food choices for yourself and your family, read on! Read more…. 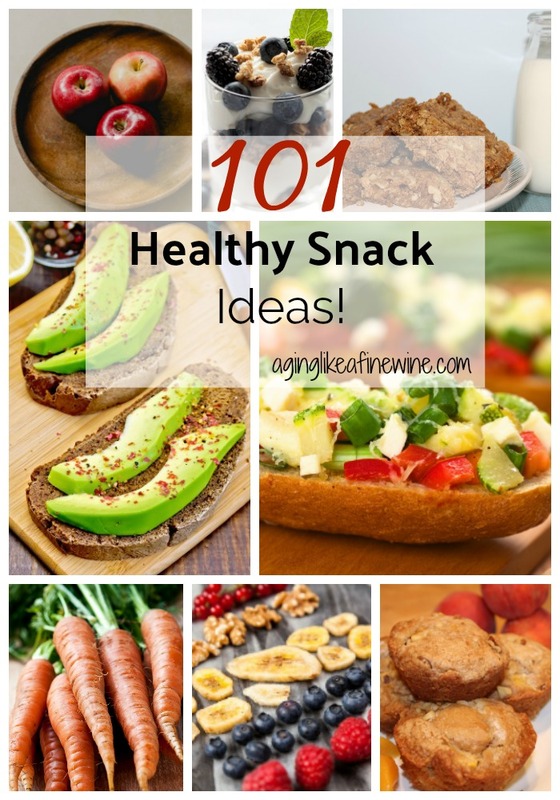 101 Healthy Snack Ideas Sure to Satisfy even the Pickiest Palate! Like you, I’m trying to learn how to eat healthier. I wanted a long list of healthy snack ideas to choose from when preparing my shopping list, so I decided to create one. Now I’m sharing it with you in the hopes that you”ll find it beneficial too! Read more…. 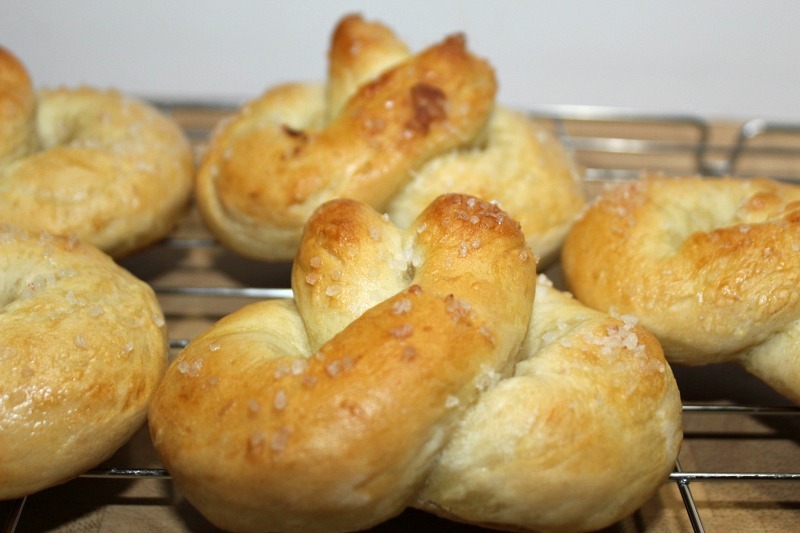 Grandchildren and baking homemade pretzels, perfect combination for a fun afternoon! My grandchildren really like pretzels. Do yours? They like the straight ones, the curly ones and the large pretzel sticks, which we sometimes eat for lunch with peanut butter to dip them in! So today when they were over we decided to try our hand at making homemade pretzels from scratch. Read more…. 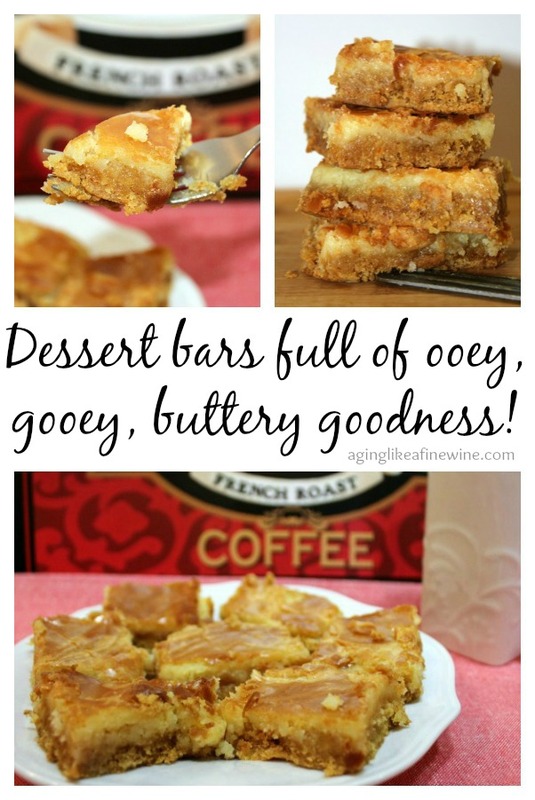 Melt in Your Mouth Buttery Dessert Bars that You are Going to Love! This is the first time I’ve made these dessert bars, so I wasn’t too sure what the result would be. I was so pleased because they are total ooey, gooey goodness! My taste testers were myself, my son and daughter-in-law and my husband, Paul. My son and daughter-in-law loved them; in fact my son has already requested more. When they were warm out of the oven my husband wasn’t too sure about them, but the next day he commented “you know, these are pretty good”. And he showed his enthusiasm by helping us to eat the entire 9 x 13 inch pan over the next few days. Read more…. I’ve never been a big fan of vegetable soup! In other words, I’ll never reach for it at the grocery store or order it at a restaurant. But there is one vegetable soup I love. It’s the vegetable soup my mom used to make for us and the only one I’ve ever made. Until now I don’t think the recipe has ever been written down, I just make it the way my mom did. 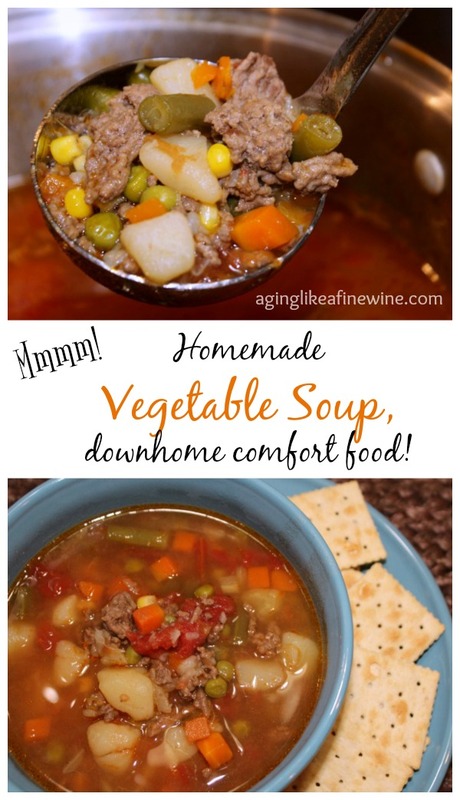 Recently my husband Paul, asked me to make some of “my vegetable soup” (he’s hooked on it now too), which started my thinking that maybe someone else might just like this easy recipe too. So now I’m sharing it with all of you in hopes that you’ll enjoy! Read more….